As you probably know all too well, important data can be unexpectedly lost whether as a result of a system crash or viral attack. Laplink DiskImage Professional Edition is the ideal tool for quickly and easily taking the trouble out of such inconveniences. This reliable and affordable imaging and backup solution offers everything from the creation of images to the restoration of individual files – everything you need to professionally protect your data. If the worst happens (theft, physical damage, virus, etc. 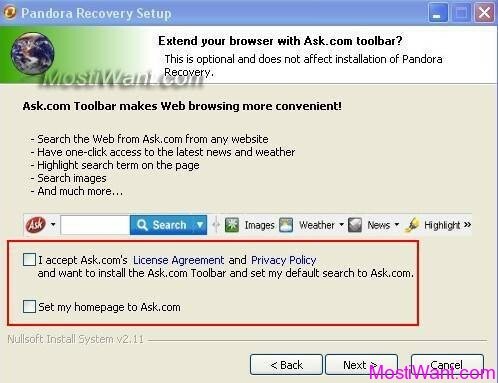 ), you’ll have a complete intact version of your PC – you can even restore to different hardware using its Hardware Independent Restore Feature. By using DiskImage Pro you aren’t just securing data, but your entire PC. When you restore an image, the old PCs setup is restored along with the data regardless of whether it is onto the same PC or onto another one. 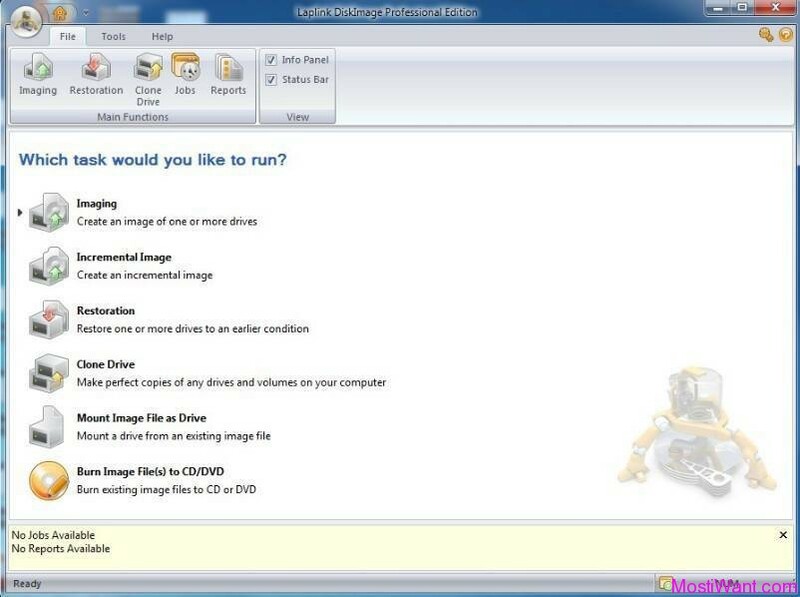 Other prominent features of the comprehensive DiskImage program include an easy-to-use wizard that lets you create images and perform restorations with one click, advanced burning that lets you store your disk image on CDs, DVDs, Blu-ray Discs and other external media, automated incremental imaging that creates full or incremental images of your PC even while it is in use, a Boot CD and more. Easily protect against unforeseen data loss: Create image files of your drives on a regular basis and you’ll be fully protected against data loss! Laplink DiskImage Professional Edition is normally priced at US$ 39.95 per serial number / license key. 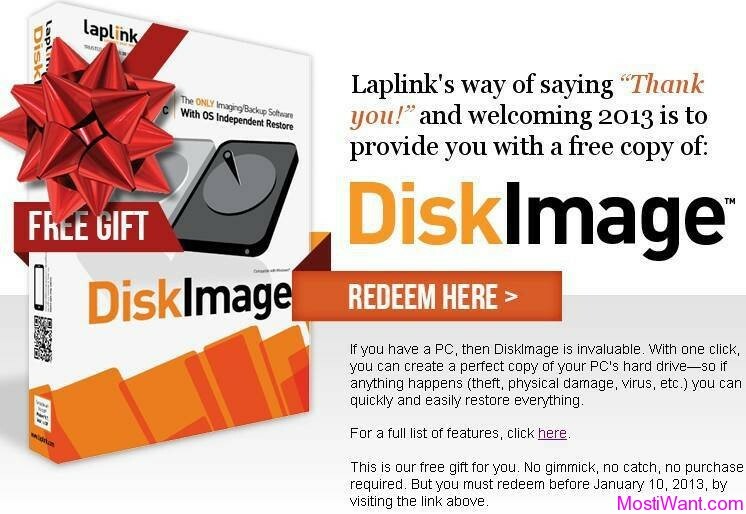 But now, as part of Laplink’s holiday giveaway offer, you can download Laplink DiskImage Pro full version with serial key for free. No gimmick, no catch, no purchase required. But you must redeem before January 10, 2013. Visit the giveaway page here, click on the “REDEEM HERE >” buttom, then follow the on page steps to get your software and serial number. 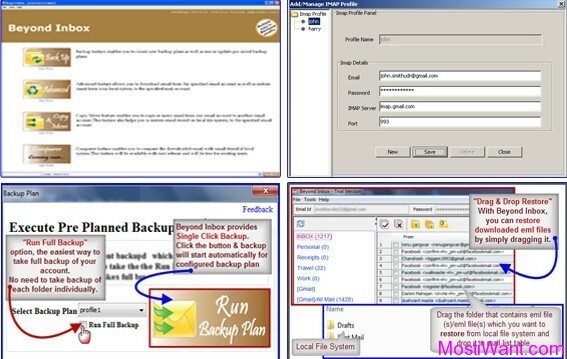 Please make sure that no other backup or imaging software is installed on your computer when installing or working with Laplink DiskImage. 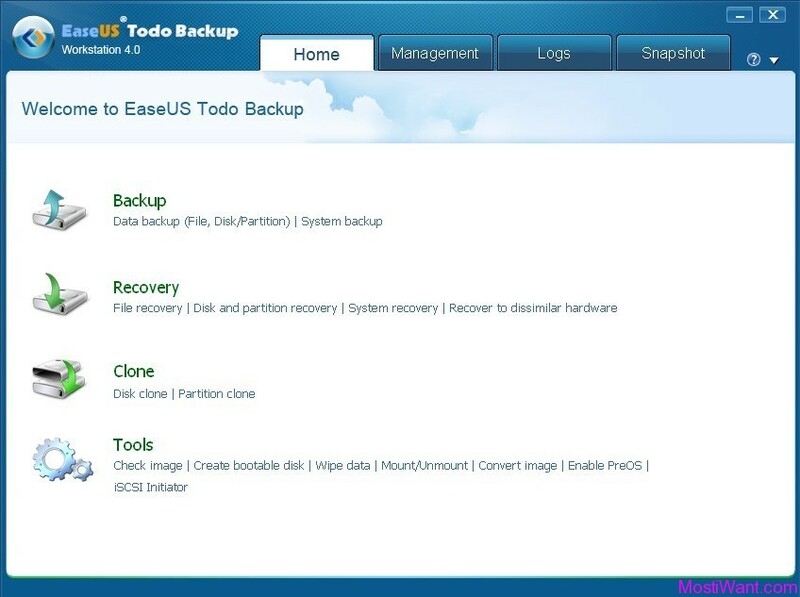 Using more than one backup / imaging software application on the same PC can cause problems with the computer’s hard drive. A bootable CD can be created from the DiskImage ISO file, which is available from the DiskImage download Web page (accessible from the My Downloads page of your Laplink Support account). Laplink recommends that you download the ISO file and burn it to a bootable CD, which can then be used for disaster recovery. See the DiskImage download Web page for recommendations of software that can be used to assist in creating the bootable CD. Laplink DiskImage seems to be a rebranded version of O&O DiskImage. So if you have already got O&O DiskImage from previous giveaways, you may ignore this one. @William: Please include in this post: Not Supported for Windows 8. @Xi, Thanks for informing. Have already included. Have a nice day!